We are immensely enjoying our van and feel it is a timely gift from God. Jim has had to go back on hemodialysis, which means transporting him back and forth three times a week to the dialysis center. Before we had the van, this would have been impossible. Buying one of our wheelchair vans can take care of your accessible transportation needs quickly with our Buy-from-Home opportunity. While you handle your day-to-day obligations at home in Manchester, NH, you'll work with one of our mobility consultants to complete the sales process of a low-cost, high-quality handicap van. After the sale is finalized, our professional delivery service will bring your adapted van to you anywhere in the Manchester, Nashua, Merrimack, and Londonderry, New Hampshire area! Have a mobility professional from AMS Vans drive your wheelchair van from our office to your driveway in Manchester, NH, and then, fly back. Protect the potential resale value of your handicap van by keeping excessive mileage off your odometer and have it hauled on a trailer rather than driven. We'll put your van on a trailer and haul it to anywhere in the Manchester, Nashua, NH area. 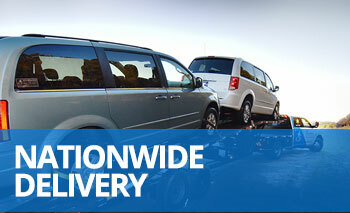 Save on delivery costs by coming to our office in Atlanta, GA to drive home your wheelchair van home. Customers who travel to us from Manchester, NH are often eligible for our pick-up discount off the price of the handicap van itself. Our "White Glove Service" is a complimentary presentation that introduces will introduce you to the operation of the equipment and features of your wheelchair van. 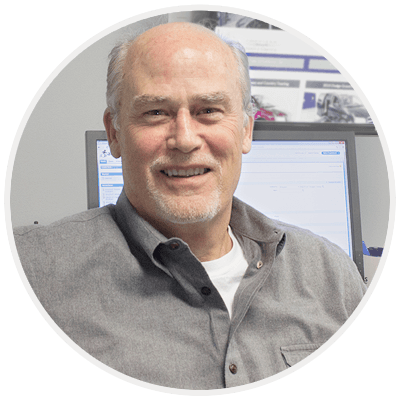 We'll show you how all the factory and adaptive features of your handicap van work, give you safety tips, and answer any questions you have. We won't leave until you are confident you can operate your van alone. Upon delivery, every wheelchair van is guaranteed, or your money back! If you aren't 100% satisfied with your purchase for any reason at the time of delivery, we won't give you any high-pressure sales pitches. We'll simply return the van to our headquarters, terminate the sale, and draft a refund to send you. If you would like another opinion, we are happy to meet you at any mechanic in the Manchester, Nashua, New Hampshire area and wait while an inspection is done. We have a wide variety of handicap vans for sale, including side and rear entry, as well as used accessible vans from other major manufacturers. We sell all types of accessible vehicles like minivans, full-size vans, trucks, cars, lift vans, and other adapted transportation. Call a mobility consultant at 800-775-VANS (8267) to learn more about the accessible vehicles we have available and our styles of wheelchair van conversions. We'll help you determine your needs from accessible transportation and research our inventory to point out several possibilities to you. After you pick a wheelchair van, our mobility consultant will work closely with you to close the sale while you stay at home in Manchester, New Hampshire! We've probably already been to Manchester, NH to deliver a wheelchair van to a customer, and we are hoping for the opportunity to return to the area and bring you one!